Give kids different colors of construction paper. They cut 1 inch (width) strips. 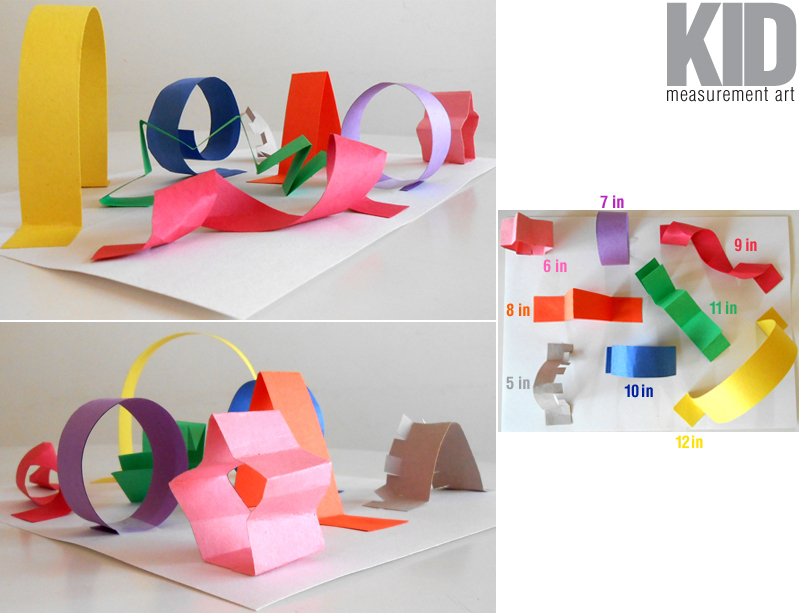 Then, they use a ruler and cut their strips different lengths (5, 6, 7, 8, 9, 10, 11, 12 inches) and manipulate them into different designs, creating a 3D collage. Have kids write their measurements next to each paper strip.